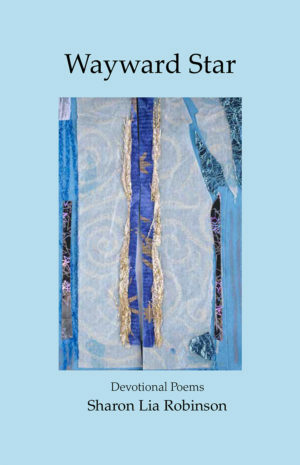 My poetry book, Wayward Star, Devotional Poems by Sharon Lia Robinson is available through Sheriar Books. This collection includes poems evoking both the Catholic and Jewish traditions with my faith in Meher Baba, the Ancient One. I feel that this book is an inspiring spiritual gift to the reader and a gem for the contemplative practice of lectio divina. Here is an excerpt from my poem “His Holy Will” on page 33 in the book. Two documentary films I have directed & produced are My Journey Toward Wholeness and Edge of the Sea Gallery (1998-2003). I currently live in Port Townsend, Washington. Since the early 1970’s I have been been writing poetry, plays, essays, and stories. The search for a sense of spiritual presence and a meaningful way to connect with others informs my work. My stories may reflect the lives of unconventional outsiders, the search to find acceptance, and our mystical journey toward wholeness and spiritual redemption. I have worked for many years in the area of dance with a special emphasis on creating a supportive cultural atmosphere for all people, to give ourselves permission to experience the joy of creative movement. I have shared my Poetry and creative dance in liturgical prayer celebrations, secular places and journals. More poetry I have written is on this website at Meher Baba In My Life, and Rubenesque Landscape. Inspired by cat companions, Simon and Simone and by work as a nanny, I also write stories and poems for children. I was born in Santa Monica, California. At age ten, while living in a Methodist children’s home in La Verne, California, I attended the local Jewish Temple Sunday school. There I met Rabbi Michael and Ruth Robinson and their two young children. I became part of their family and later that year, we moved to Croton-on-Hudson, New York. Croton-on-Hudson, New York has significance for me as a connection to Meher Baba. For Meher Baba stayed there (at that time called Harmon-on-Hudson) during His first visit to the U.S. and again in 1932. In 1973, I returned to Santa Monica, where I was a catalyst in the early years of the fat women’s liberation movement, to develop more inclusive concepts of body image. Between 1973-1977, I wrote essays and poetry for Sister! a Los Angeles feminist newspaper. During these years, (Aldebaran) Vivian Mayer and I collected early drafts of the pioneering anthology Shadow on a Tightrope (writings by women on fat oppression). My poetry and essays are included in the book. The anthology title Shadow on a Tightrope is from a line in my poem, “whoever i am, i’m a fat woman.” (I wrote under the pen name Sharon Bas Hannah at the time). Between 1974-1979, I connected with several Jungian therapists, and attended Jungian seminars in Los Angeles, California, in New Haven, Connecticut and Cambridge, Mass. The process of Jungian psychology became an important experience for helping me to discern my authentic self. I began to feel more self-validation in my creative writings. During this time, I began to focus on my poems, creative dance and stories rather than journalism. The years I was in Jungian therapy, circa 1975-1979, and then in 1996, continue to inspire me in my life and creative projects. In 1977, I discovered the poetry of Paul Eluard and other writers. I began to feel that I am more of an artist than a political activist. I began to see myself more strongly in that light. In 1978, having been accepted into the the Theater Project of the Goddard-Cambridge Graduate Program in Social Change, Cambridge, Massachusetts, I moved to the Cambridge area. My graduate work in the theater program there focused on writing experimental plays and poetry. I also studied Middle Eastern and creative dance and began to perform and teach dance. My 1984 Master’s Degree from Goddard/Vermont College is in Theater and Creative Dance, with an emphasis on creating innovative roles that honor the lives of full-figured and unconventional women like myself. My archives are in Schlesinger Library, Radcliffe College, under my pen name, Sharonah Robinson. The collection there includes the early drafts of Shadow on a Tightrope; my 1984 Master’s project (Three Plays and Notes on Dance); along with my poems, stories, journal notes and films. In 1995, I traveled to India on a spiritual pilgrimage to visit the Avatar Meher Baba Center. I went to Meher Baba’s tomb and visited with His close disciples. After this journey, I began to exhibit my visual art and to reclaim that creative aspect in my life. I have collaborated throughout the years with photographers to document my life. Beginning in 1997, I collaborated with photographer Steven R. Johnson on Rubenesque Landscape, with photography by Steven and poetry by me. We have shown this collection in galleries and art centers, including Metropolis Gallery/Seattle, Edge of the Sea Gallery and Centrum/Port Townsend, Washington. Wonderful to read your life work and the journey you are making. Integrating spirituality with your creative work is something rarely achieved. Read your bio before watching the YouTube video. So looking forward to it. Thank you so much for sharing your life work and your travels.